Gabby McPhee is the owner of The Tin Man, a chic new cafe and coffee roasting house in Melbourne. It has been two years since Gabby had a heart transplant, and life is good – her focus is to remain healthy for at least ten more years, until the youngest of her three children is an adult. Krystal Arthur is a bereaved widow, struggling to hold herself and her two young boys together since Evan’s death, and plagued by unanswered questions. Why was her husband in Sydney the night he died? Who was Rebecca to him? And why won’t his spirit rest? Krystal appears in the cafe, convinced that Gabby has her deceased husband’s heart beating inside her chest, and that Gabby holds the clues she needs to move forward. The two women must come together to try to unlock the secrets in Evan’s heart in order to set free their own. 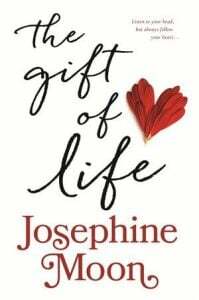 The Gift of Life is a delightful page-turner that delves into the complex subject of organ transplants with great humanity. It’s a truly moving tale about loss and love and connection, with a wonderful cast of well developed characters, with layered storylines. Family is an important theme, and the Gabby and Krystal are both driven by motherhood and the need to do the right thing for their children. Right from the opening page, you’re drawn into a strong sense of place with The Tin Man cafe – I lost count of how many coffees I had reading this book. And then there is the mystery of how Krystal’s husband died and the connection between the two women: his wife and the woman who received his heart. Evan’s spirit plays a pivotal role, but this is no ghost story. The paranormal contact with Evan is deftly handled and the final scene with him gave me goosebumps. By the internationally bestselling author of The Chocolate Promise, this is a profound and moving book about the deeper mysteries of love and loss – and the priceless gift of life. 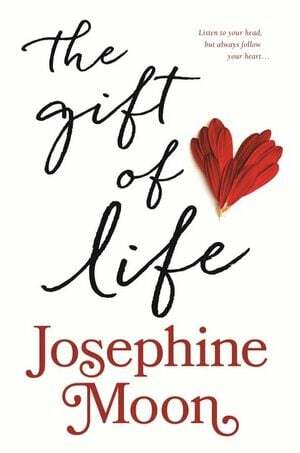 The Gift of Life is a novel with heart – literally. I couldn’t put it down. 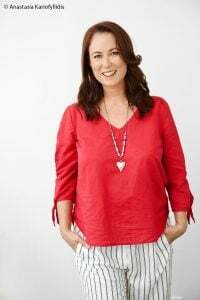 She now lives on acreage in the beautiful Noosa hinterland with her husband and son, and a tribe of animals that seems to increase in size each year. She wouldn’t have it any other way.